What better than to enjoy an elegant designer campfire in an atmospherical scene on a wonderful summer, spring, or autumn evening? 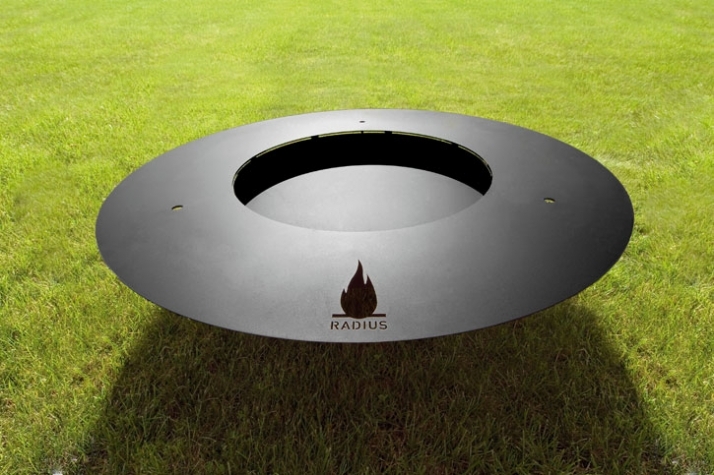 FIREPLATE by RADIUS DESIGN was especially designed to satisfy this need! According to Michael Rφsling, of RADIUS DESIGN "this could be the most beautiful summer in a long time!" 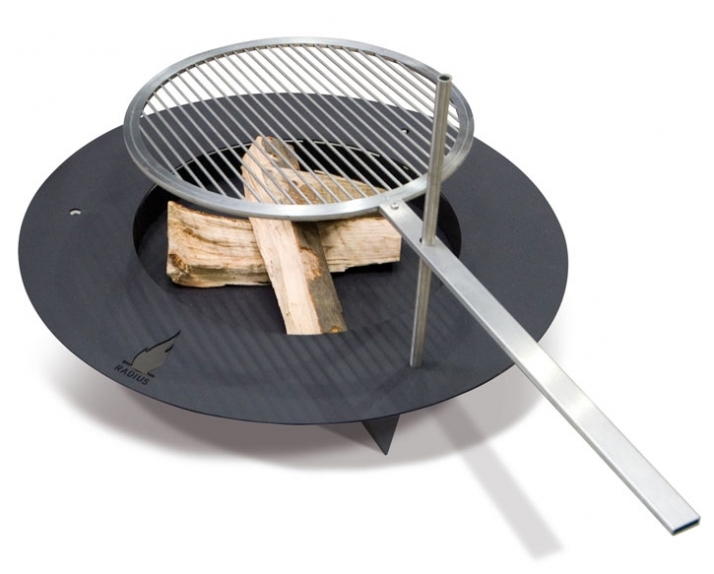 Flames can blaze away in the base made of black varnished steel or you can take the original approach and grill directly over the fire. 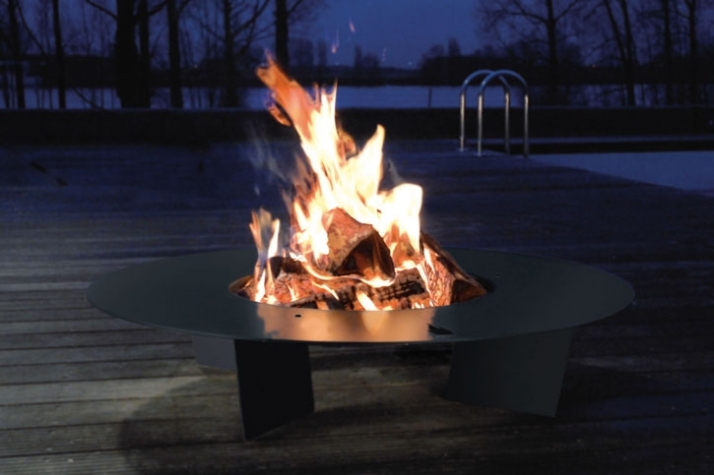 The circular fire plate is made of black varnished steel and is available in the following diameters: 75cm or 100cm while it is 20cm high. 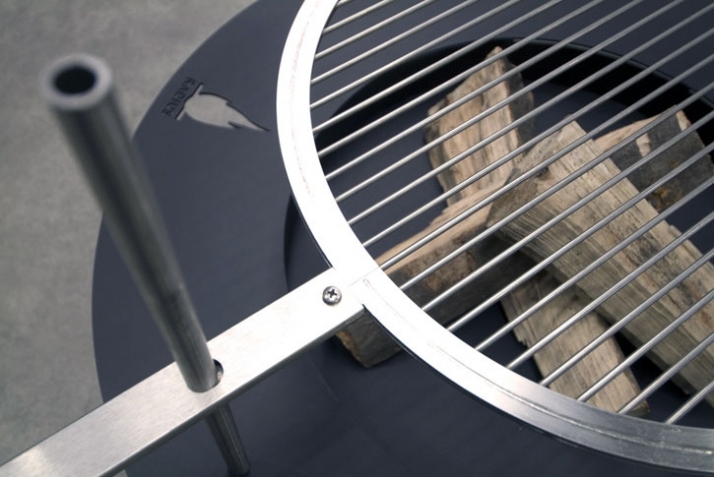 The attachable grill with a diameter of 50cm is made of stainless steel and is available for both large versions; it completes the FIREPLATE and provides a perfect BBQ experience! 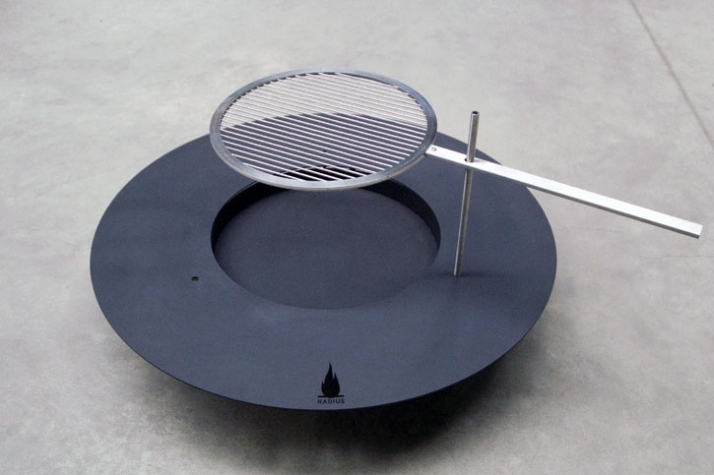 FIREPLATE seems to be the ideal solution not only for a romantic evening with some fire, but also for an eye with aesthetics. RADIUS DESIGN is a fast growing brand with a high level in interior design products with a focus in over 40 countries. The company's philosophy is to create products which are more functional, original and attractive than that which is already available. Twenty years ago Michael Rφsling started developing products because of his own dissatisfaction of what the market offered or a gap he discovered which then inspired him to new ideas; this has not changed till current day for Rφsling and RADIUS. Throughout these twenty years the RADIUS has been enriched with experience, reliable partnerships with designers, engineers, dealers and suppliers. The know-how of RADIUS DESIGN reflects their design's innovative power, product quality and reliability of supply and service.